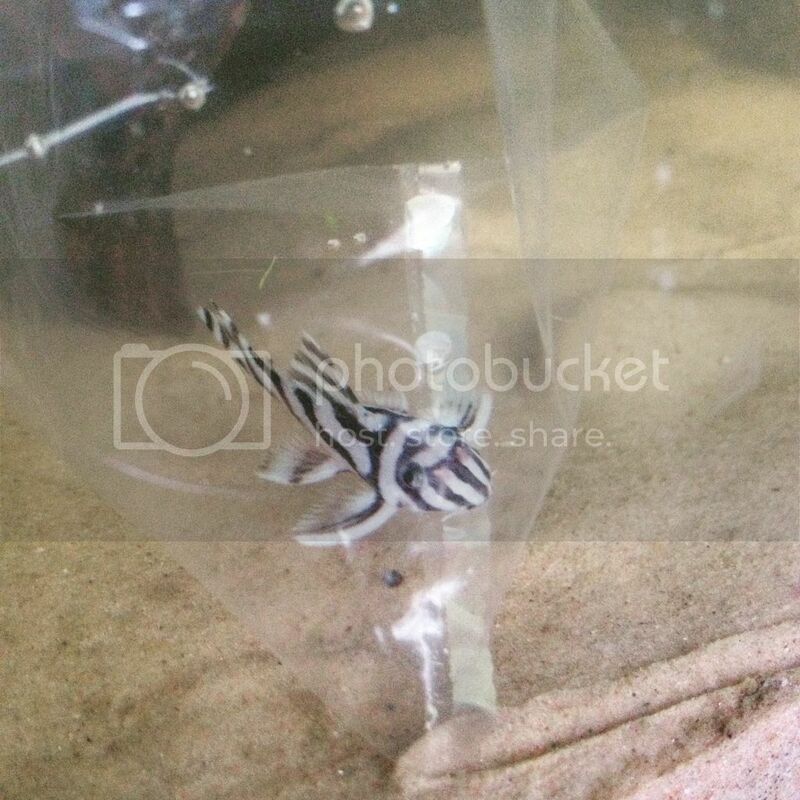 I am new to the forum heard a lot about this forum over the years but I never had a zebra pleco so never joined one of the happiest days of my fish keeping life 2 weeks ago I got my first zebra pleco. He/she is housed in a 120 litre tank with 2 internal filters trying to create a good strong flow he/she is very small and very shy hides most of the day feeding him blood worm never actually seen him eating yet but the blood worm disappears every morning when I check it I put it in a quiet dark spot behind some bog wood. The tank has a fine sandy bottom and lots of bog wood and hiding places. The temperature is at 27degrees ph 7 I have a feeling he/she is a tank bred zebra pleco. There isn't many private breeders in Ireland and only way to get them here is by getting ripped off in the LFS I would like to throughout this year get a nice group going but for the moment I'm just happy to keep him/her happy and healthy before I expand and buy some more hopefully I can get some contacts on here that will ship to Ireland. But as I said for the moment I'm happy to crack on with the one I have. Anyway name is Craig I'm Irish am married with 3 kids and have 5 tanks on the go at the moment. Looking forward to getting involved on here and expanding my zebra pleco knowledge. And here it is my first zebra pleco. Welcome to the site and the wonderful world of zebras. You may be able to find better prices in the UK but I am not sure re shipping them. I generally will not feed blood worms to small zebras as they have been known to choke to death trying to eat them. As a rule, I will not feed bloods until they are clearly over 1.5 inches (3.8 cm) TL. Also, zebras are omnivores so they need some veggies in their diet. This is especially true for the first few months after they are born.